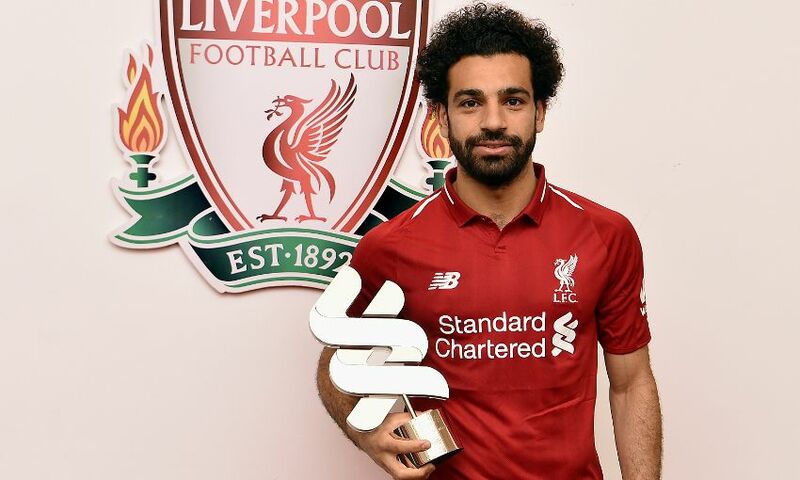 Mohamed Salah has scooped the Standard Chartered Player of the Month award for the seventh time this season after being named April's winner. The Egyptian scored six goals in as many games for the Reds last month as they progressed to the Champions League final and kept their bid to qualify for next season's competition on track. And the 25-year-old's contributions saw him win our online vote to be crowned LFC’s star man for April. Upon collecting the award at Melwood today, Salah told Liverpoolfc.com: "I feel good, I'm happy to win it again. "I don't know which games I scored and don't remember the goals exactly but I'm always happy to feel I'm helping the team and scoring goals. "I enjoy my football so much here, the quality of the players and everything here makes me happy. We help each other so I'm very happy with what we're doing." Salah has enjoyed a remarkable debut season at Anfield, scoring 43 goals in 50 appearances and seeing his individual achievements recognised with both the PFA and FWA Player of the Year awards. But the Reds forward is most excited by the prospect of capping 2017-18 with the collective glory of a top-four Premier League finish and victory in the Champions League. "[There are] still two games to go so we have to think about that," he added. "I'm very excited to play the last game of the season on Sunday and the final of the Champions League. Everyone is excited in the city, also the players."